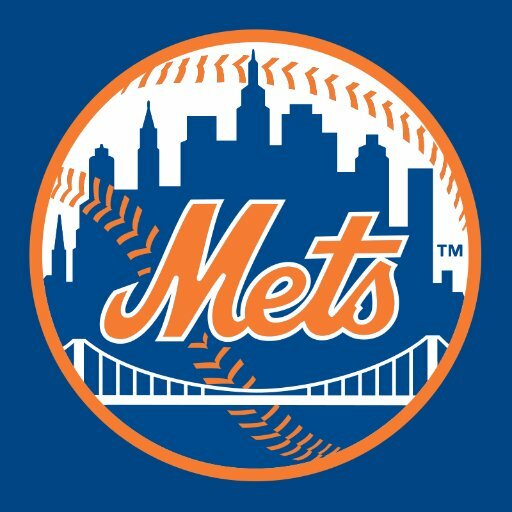 Heading to the Big Apple on New Year’s Day, the Sabres and Rangers will take the ice at Citi Field for 2018’s only outdoor game. 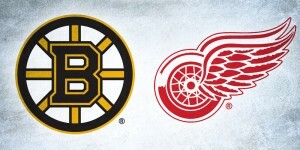 While we’ve already seen the jerseys for the event, masks and goalie gear are starting to be revealed, and we couldn’t be more excited. 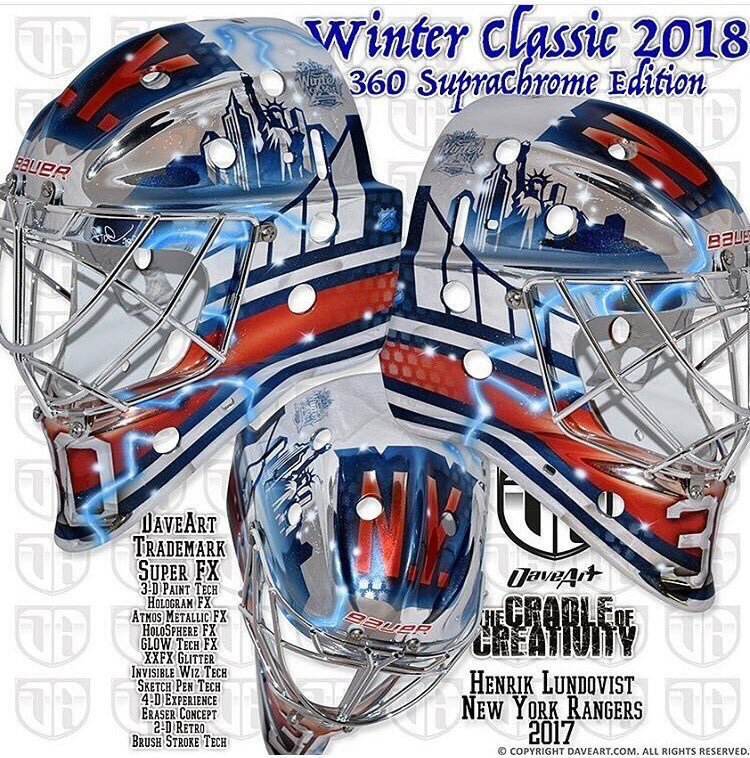 The first taste of Winter Classic gear glory came in the form of Lundqvist’s gorgeous Mets-themed pillows, revealed on the goaltender’s social media accounts, and now all four of the netminders have shared their new masks for the Classic. Check out each of the four masks below that the Rangers and Sabres ‘tenders will be wearing on New Year’s Day! 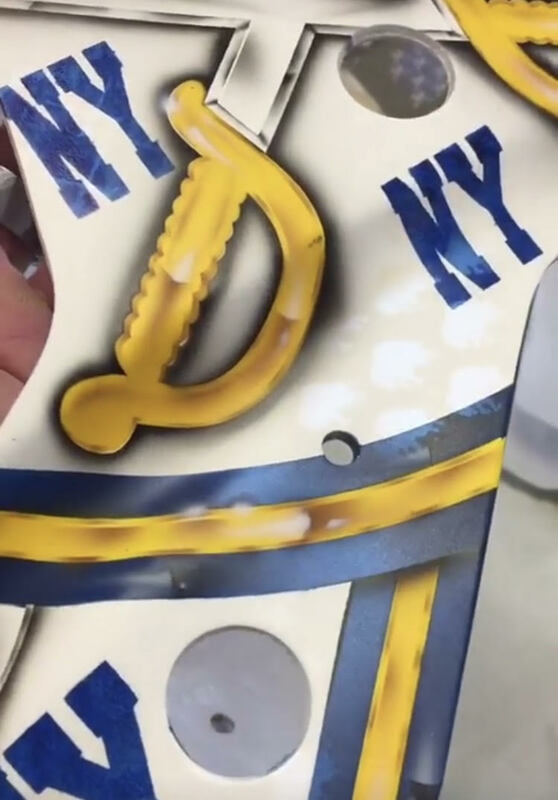 The first Winter Classic mask to be revealed this year is Robin Lehner’s retro-style Daveart creation. Pulling from the aesthetics of Buffalo’s jerseys for the event, the mask (no, not THAT one) features gold and cobalt striping on each side with the throwback-style Buffalo logos across the top. 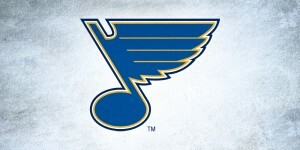 In Flames, the Swedish metal band Gunnarsson references, has appeared on Lehner’s masks time and time again and subtly sneaks its way onto the top of his Winter Classic bucket as well. The vintage textures and nod to Hasek are complimented nicely by the composition and style of this mask, so an all around job well done by the artist and netminder. 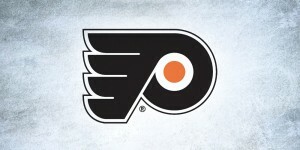 Chad Johnson gave us a sneak preview of his Winter Classic mask in practice, shared via Chris Ostrander on Twitter. 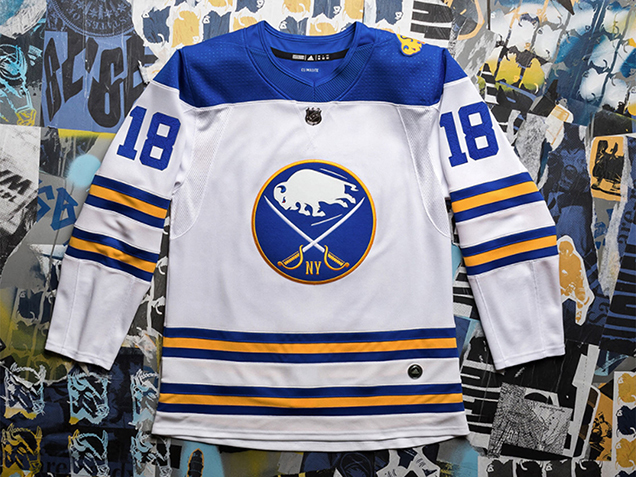 Likely painted by Johnson’s regular artist Jay Bartziokas, the busy design is covered with retro stylings of the Sabres logos and a lot of NYs. The stark white base is actually a cool and unique starting point for a vintage-style mask, and the 2-dimensional paint job is fitting for the event, but the lack of visual hierarchy between the logos and the monograms makes for a cluttered composition that’s a bit overwhelming. Had the NYs been painted in a lighter gray or removed all together, Johnson would’ve ended up with a cleaner design that would’ve suited the setting far better. 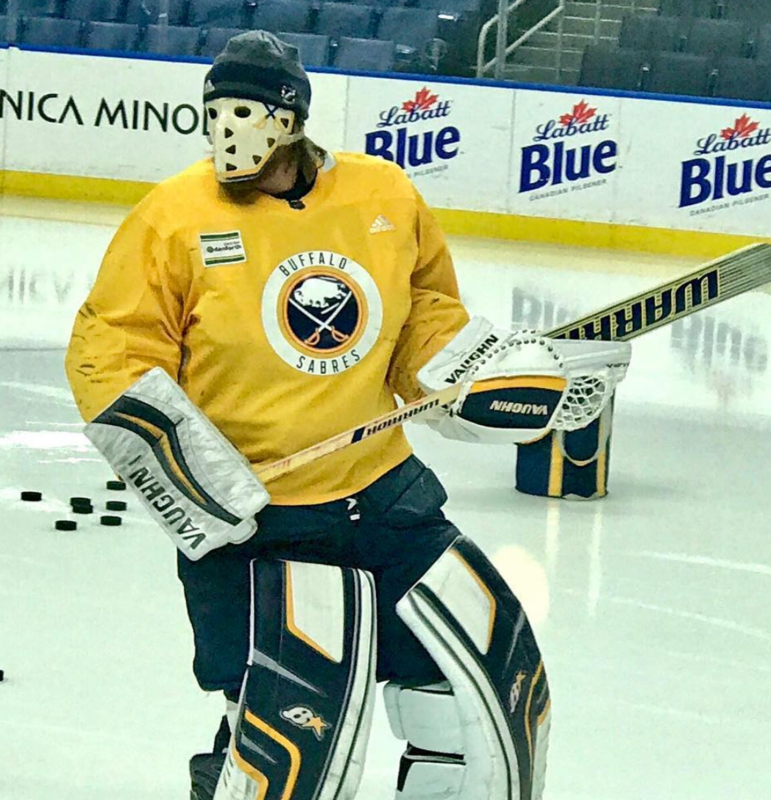 Sabres’ equipment manager David Williams shared a photo of Johnson’s full setup for the event with a clearer photo of the mask’s left side, and while the goaltender gets some bonus points for the cohesion in his gear, the business of the mask unfortunately drags the whole kit down a bit. 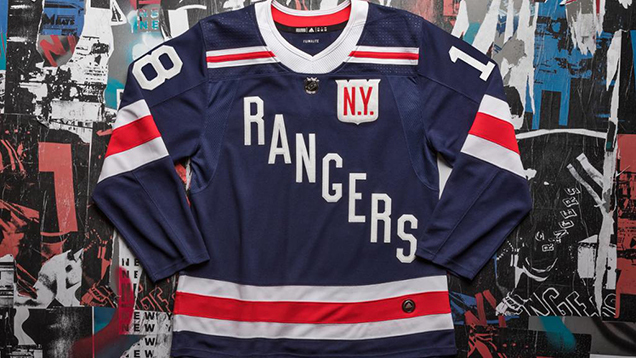 The flat navy paint job is accented by large Rangers shields on each side and the iconic diagonal “Rangers” lettering across the top. The simple composition is given some signature Daveart flair with the holographic shields stamped throughout and glossy navy border on the crisp white lettering. 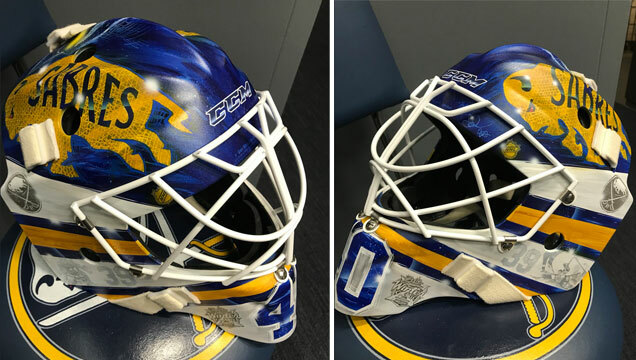 Gunnarsson’s style this season has spanned all the way from these flat “2D” masks to his “4D” textured designs, but the matte, graphic approach to Pavelec’s bucket works perfectly for this kind of event. 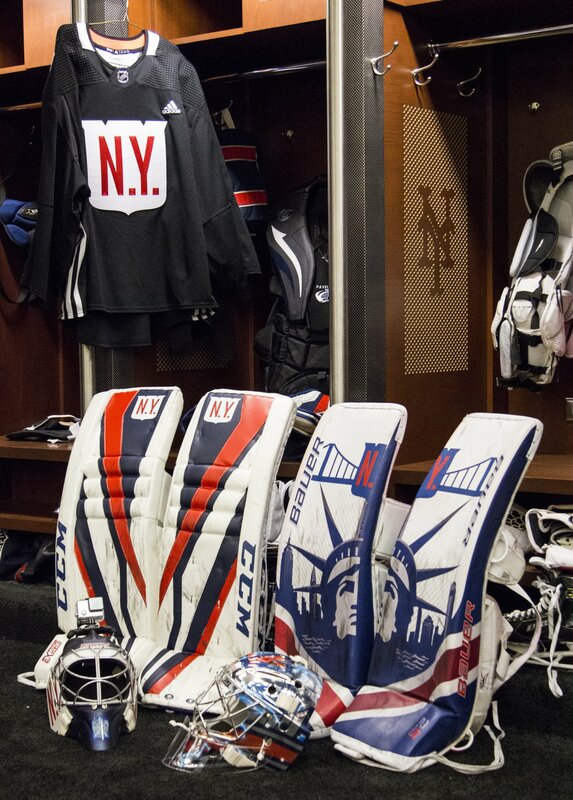 This shiny, futuristic design seems like an unusual choice for an event where most goaltenders opt to sport retro looks, but Hank has always been one to push the envelope and think outside the box when it comes to his gear. 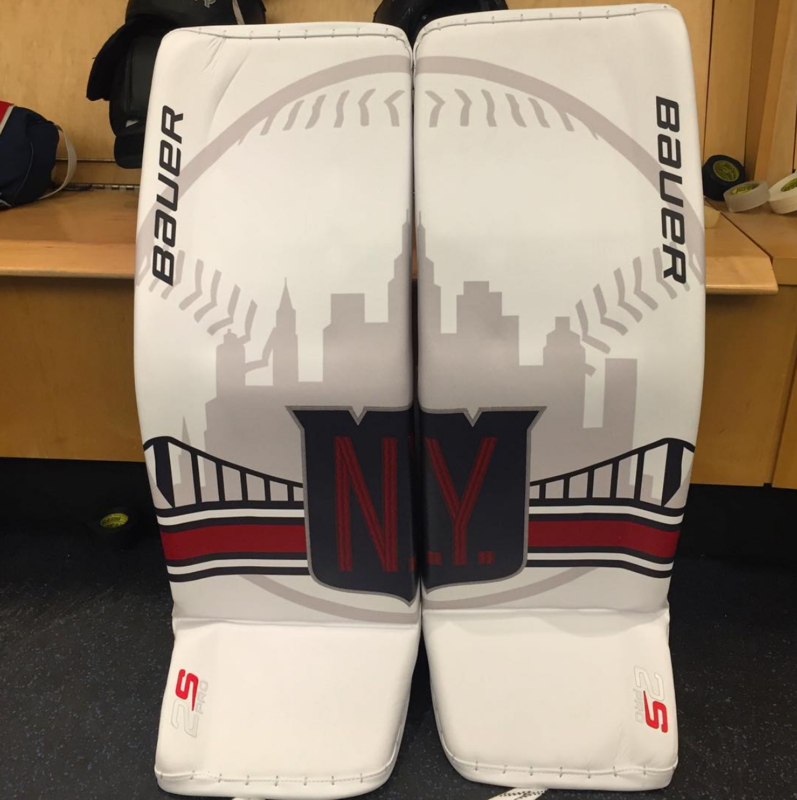 The goaltender has not one, but two sets of special pads for the event as well, having garnered attention for the first Mets-themed design before Christmas and since having debuted a second custom set via the Rangers’ Twitter. 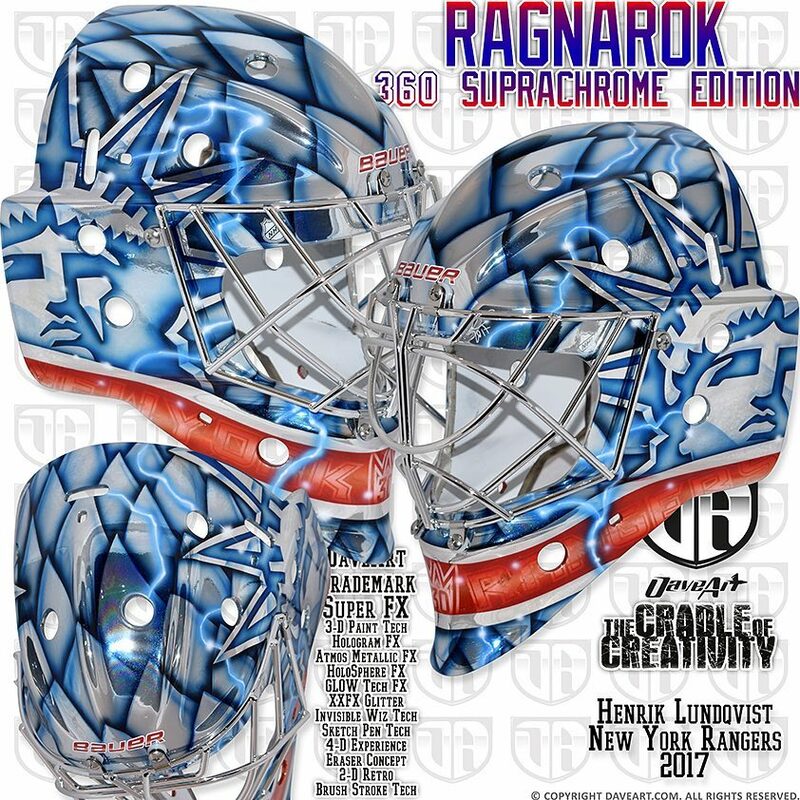 While this mask is anything but classic, it’s what we’ve come to know of Lundqvist’s signature style, so whether the King is playing indoors or out, we wouldn’t expect anything less. 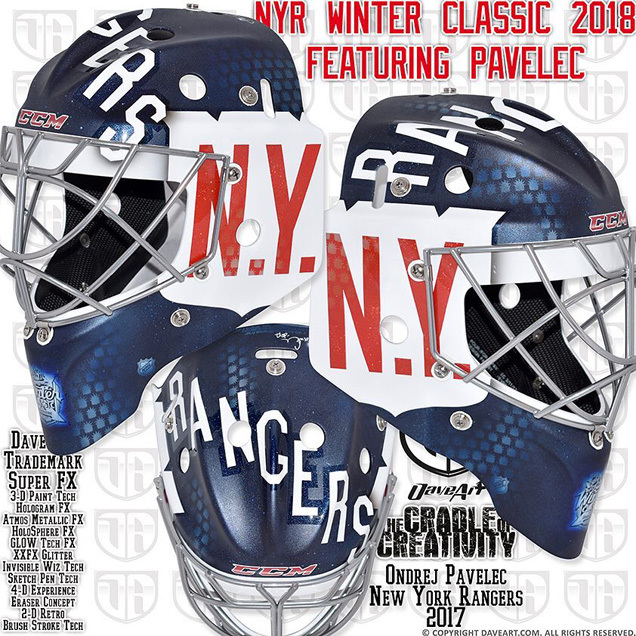 What do you think of the 2018 Winter Classic masks? Let us know in the comments, or on Twitter or Facebook!